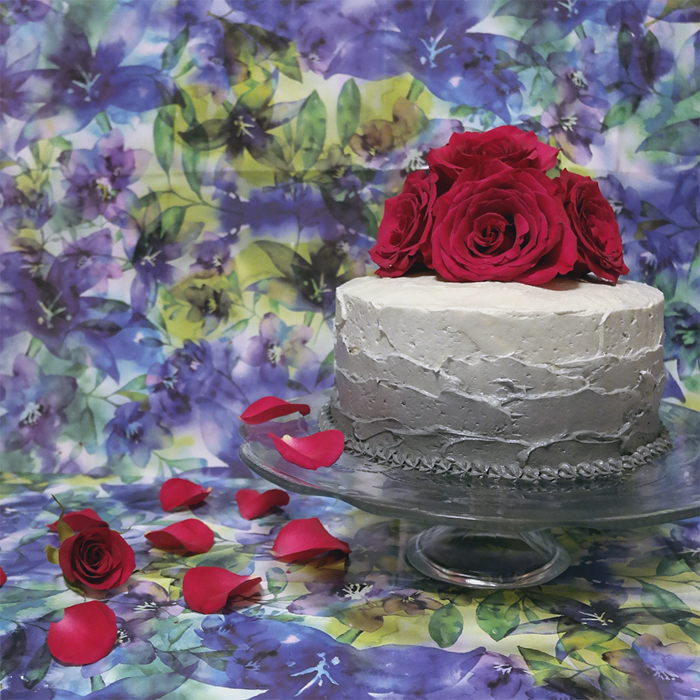 Recipe // Vanilla and Violet Layer Cake - Sugar, Darling? I've been searching for my idea of a perfect frosting for years and years. Not too sweet, not too cloying with butter, the perfect light and fluffy texture, one that colours well and takes on any flavours you add to it with ease. Well ladies and gents, I think I've found it. After years of resisting and thinking I know better I finally relented and tried out 'The Best Whipped Frosting' from Can You Stay For Dinner, making a few subtle tweaks and it really is... well... the best! Now that I had discovered the best light and creamy frosting I knew that I could try out something I've wanted to for what seems like an age - a violet layer cake. This just wouldn't have worked with any other frosting as the flavour would be completely lost amongst too much butteriness or sugariness but here it works divinely. And I know half of you will be thinking 'gross, palma violets are the worst' and if so boo to you, I'm all about the floral flavours. Like I always say, I'm an old lady in a young lady's body - give me flowery candies, a pot of chai and a few episodes of Poirot and I'm happy. Anyway, back to cake. You may find my cake recipe a little odd too but it's my all time favourite, more like an American white cake than a traditional English sponge and the texture is phenominal. It's so light and fluffy thanks to the lack of egg yolks but still buttery and delicious and it stays moist for lots longer than a regular sponge. Basically, this cake is sponge and frosting perfection and the best thing is that you could flavour it any which way you like. 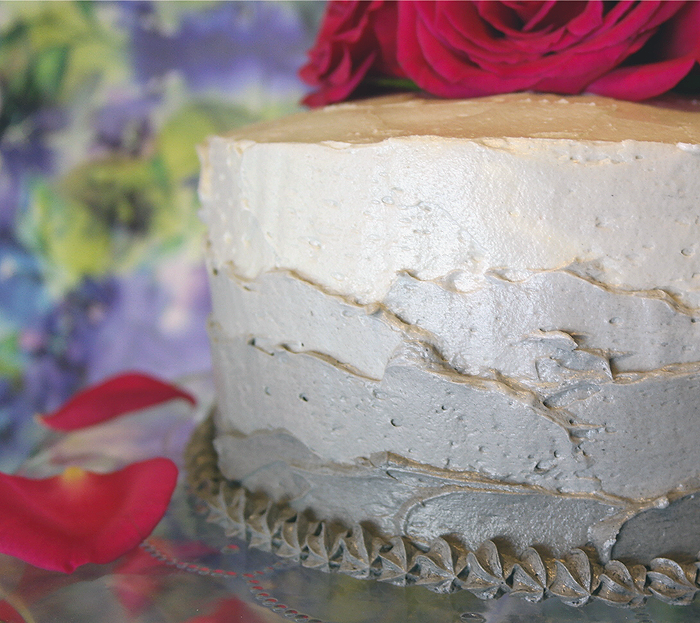 Go crazy guys, my next combo is going to be coconut cake layers with peach frosting! Preheat the oven to 170C and butter, line and flour three 8" cake tins. With a fork whisk the milk, egg whites, vanilla extract and rose water until well comnbined and set aside. Put the flour, sugar, baking powder and salt into the bowl of your mixer and give it a quick mix until they are well incorporated. Add the butter and mix on low until you have a sandy consistency, about 1-2 minutes before adding 3/4 of the milk and egg mixture and beating for another 1-2 minutes on medium speed. Add the rest of the milk mix and beat for another minute until everything is mixed perfectly. Divide between the three tins, smooth the tops and bake for 20-25 minutes, testing and turning the tins after 15 minutes if needs be. When cooked leave to cool completely before decorating. Heat the flour and milk over a medium heat as you would a roux, whisking constantly until you have a thick mix the texture of a thick cake batter. Set aside to cool completely - if you're impatient you can speed this up by placing the saucepan in a bowl of ice water and whisking for a few more minutes (making sure none gets into the actual mix!). Beat the butter and sugar together for at least 2 minutes until it's light and fluffy and the sugar is fully incorporated, then add the vanilla extract and violet essence and the completely cooled flour and milk mix and beat on high speed for one minute. Scrape down the bowl and beat for another minute, again on high speed, until your frosting has the texture of whipped cream. Colour if/as you wish and then go ahead and frost your cake layers!